If you're throwing a St. Patty's Day Extravaganza this year, you're going to want to use this personalized coaster se! 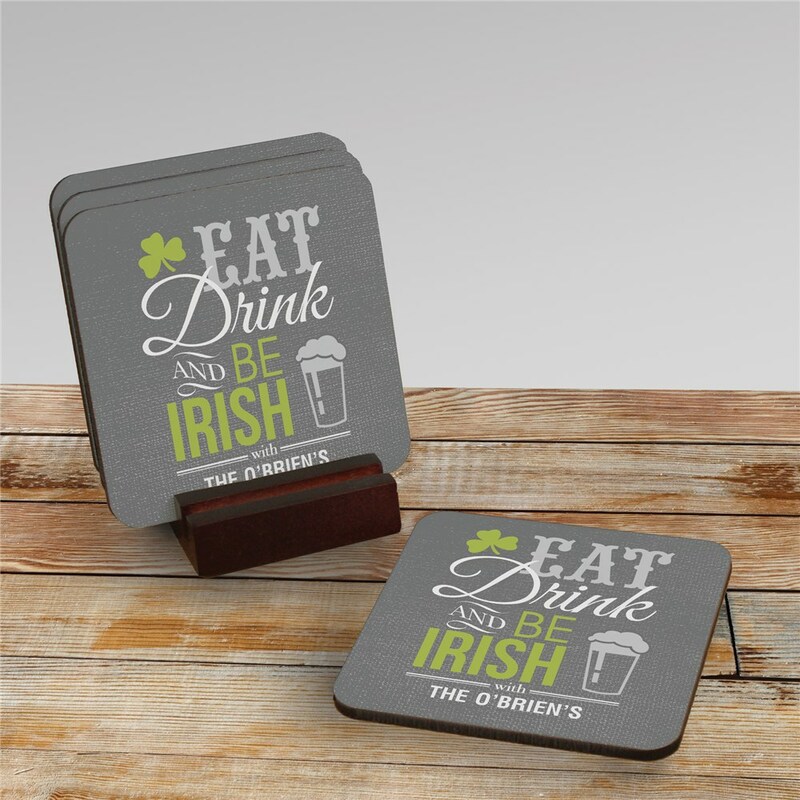 No matter what the heritage of your guests, they can all enjoy a bit of Irish pride when they enjoy their favorite drinks off of these decorative coasters. This Personalized Irish Coaster Set is available on our premium hardwood square coaster with cork bottom, set of four, measuring approx. 3.75". Also comes with our Mahogany Coaster holder. Free personalization of any one line custom message is included. The coasters are really cute and arrived quickly. I would have given 5 stars except that the edges look damaged. Additional Details Our personalized Irish pride gifts aren't only great for St. Patrick's Day! You can celebrate your Irish heritage year round with family and friends with this festive coaster set. Our Irish Pub Personalized Coaster Set is another great option for St. Patty's Day.